"Paradise" took an enthusiastic interest in music at a very early age, dancing and singing around the while house while mimicking his favorite performers to amuse his family and friends All of this fun would soon become serious when he realized that people really loved his singing and appreciated his talent. He would do the usual talent shows etc., and would often win but wasn't sure if the people were even listening to him because the girls would be screaming so loudly he could not even hear himself sing. Eventually "Paradise" would study voice at Brooklyn Conservatory of Music in New York City. Where he perfected his vocal technique, increased his range (1st tenor to baritone) and developed his stage presence and performance. He also studied guitar, keyboards and percussion. 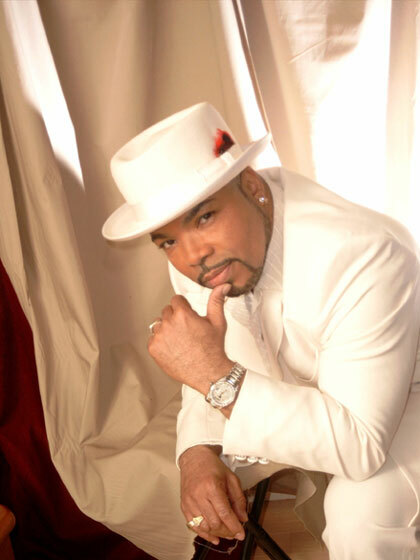 "Paradise" has opened for many well known acts throughout his career such as Melba Moore, The Ohio Players, Dazz Band and Kool and the Gang to name a few and has always been a crowd pleaser. He has performed both nationally as well as internationally, with tours of Japan, Central America, Virgin Islands, performing on the hotel circuit, cruise lines, resorts and doing international radio & television show. Though known for his vocal prowess, "Paradise" has goals to become an accomplished musician, successful songwriter and to produce other acts, particularly vocalist. "Paradise" believes that "music should be an expression of the soul and communicate different emotions to it's audience". He also believes that perseverance pays off and is living prove. Make way for Trans Urban Recording artist, Frankie "Paradise" Legree. With the release of his second single "Bounce 2 This", "Paradise" is well on his way to new heights. The song "Bounce 2 This" has something for everybody. A little Cameo for the funk crowd but a more up to date groove for those that lean more toward hip hop. Frankie pulls off the Vocals with the greatest of ease that reminds you of Temptations, Stevie Wonder or Marvi Gaye. To keep things flowing, it also has a guest appearance by Trans Urban artist "Honey". With "Bounce 2 This" we plan to market to a R&B / Hip Hop audience and eventually cross over into the pop market. Promotion will include radio, retail and the internet. We will also include some live performances and track dates at various clubs in Japan and America with contest, giveaways, etc. Trans Urban Records is an independent record company based in Yokohama, Japan and is owned and operated by Producer / Songwriter / Guitarist, Christopher Lane(brother of P-Funk family member "Micowave"), and as such our primary market is Japan with America being our secondary market.